Mr. Paulson is surely accurate in stating that the government "really failed the American people," though I doubt future historians will see this failure having concluded with the 2008 crisis. Finance had fundamentally changed, and the regulatory framework failed to adapt. As Paulson stated, Credit expansion (and finance more generally) had moved outside of traditional bank lending, but Washington had not constructed adequate safeguards and resolution mechanisms in the event of a panic. What's missing in the 10-year crisis anniversary dialogue is a more comprehensive discussion of several decades of serial booms and busts, including the factors behind the 1987 stock market crash; the late eighties boom and bust; the S&L crisis; the 1994 bond market rout; the 1995 Mexico collapse; the 1997 "Asian Tiger" collapse; the 1998 implosion of Russia and Long-Term Capital Management; the 2000 collapse of the "tech" Bubble; the 2001 crisis in Brazil; the 2002 U.S. corporate debt crisis; the 2002 collapse of the Argentine peso and so on. To focus on Lehman as the critical factor in the crisis is to disregard the true culprit, the intoxicating amalgamation of contemporary finance and "activist" government monetary management. As always, Credit is self-reinforcing. I (among others) have argued that Credit is inherently unstable, with today's unconstrained contemporary Credit remarkably unstable. Asset inflation is the most dangerous form of inflation, as "Wall Street" market-based finance and modern central banking doctrine specifically champion rising securities and asset prices. What is more, government and central bank promotion of asset inflation guaranteed that leveraged speculation evolved into a dominant force in global finance. For more than nine years, I've argue that responses (U.S. and international) to the 2008 crisis unleashed the "global government finance Bubble." I believe speculative leverage is a greater global issue today than even in 2008. This leveraging has become integral to global liquidity, liquidity that fueled precarious booms in China, throughout the emerging markets and even in Europe. Furthermore, this global liquidity has been "recycled" into U.S. securities Bubble markets, illustrated by the massive (Fed's Z.1) "Rest of World" flows into U.S. financial assets over the past decade. It was imperative for policymakers to make fundamental post-crisis changes to their approach with incentive structures, incentives that had fomented progressively more systemic financial and economic Bubbles. That was the key lesson from the crisis - one that went unheeded. Policymakers instead moved aggressively in the opposite direction: Their market interventions and manipulations became only more extreme. The upshot has been a historic Bubble around the globe, stocks and bonds and across asset markets more generally. Bubble markets remained largely oblivious to risk heading risk into the 2008 crisis. There was no appreciation for how vulnerable the liquidity backdrop had become to abrupt change. After all, the GSEs and Fed had for years cultivated the perception of impenetrable market liquidity backstops. And this misperception incentivized risk-taking - aggressive speculation, leveraging, risk intermediation and derivative strategies - that basically ensured acute vulnerability to a bout of de-risking/deleveraging. Sure, Lehman could have been bailed out. But that would have only ensured an even more extended period of ("terminal") excess and a more perilous crisis. Market were blindsided in 2008. There was a complete lack of appreciation for how distortions at the "periphery" - in particular Trillions of risky mortgage loans, securities, derivatives and speculative leverage - had late in the cycle come to provide the marginal source of finance fueling increasingly maladjusted financial and economic structures. There was no understanding of how unstable finance had nurtured acute fragility - no appreciation for how the inevitable eruption of risk aversion at the "periphery" would over time come to imperil stability at the "core." There are today ominous parallels. In 2007 and well into 2008, it was "subprime doesn't matter." Today, "EM doesn't matter. China doesn't matter. Tariffs don't matter. Debt doesn't matter." Corporate earnings, tax cuts, deregulation and technological prowess ensure the robust U.S. economy will remain immune to global financial and economic issues. The powerful "core" is invulnerable to a weak "periphery," much as the highly liquid and resilient market in "AAA" was right into the fall of 2008 perceived unaffected by faltering lower-tier securities. There is the current misperception that global "whatever it takes" ensures liquid and robust securities markets. It's worth noting Friday's 26 bps surge in Italian 10-year yields. Italy's yields were up as much as 35 bps intraday (to a four-year high 3.26%) before settling somewhat lower. Italian bank stocks sank 3.7% in Friday trading, this after Italy's populist government appeared to agree on a 2019 budget deficit of 2.4% (above the anticipated 2.0% ceiling). Why such a forceful reaction (considering that U.S. deficits will likely soon approach 5% of GDP)? The ECB's "whatever it takes" policy approach has incentivized leveraged speculation, especially at the Eurozone's relatively higher-yielding periphery. A Friday Bloomberg headline: "Sovereign-Bank 'Doom Loop' Haunts Rattled Italian Markets." Italy's banks are not alone in holding leveraged bets on Italian debt. It's been too easy for the leveraged speculating community to borrow at negative rates (i.e. short German two-year debt at negative 54 bps) and profit from the spread. Italian debt has surely been one of the most popular "carry trade" speculations in the world, perhaps also financed with interest-free borrowings from Japan. Meanwhile, funds have surely flowed into Italian debt from Japan, with savers and institutions alike reaching for yields. And, now remembering back 20 years, leveraged derivatives bets on Italian debt played a role in the 1998 (Russia/LTCM) crisis. “Here I am back again in the Treasury . . . but with one great difference. In 1918 most people’s only idea was to get back to pre-1914. No one today feels like that about 1939. That will make an enormous difference when we get down to it.” John Maynard Keynes wrote this in 1942. It did make a difference. After the Great Depression and a second world war, people wanted change. They got it. France calls what followed les trentes glorieuses. The stagflation of the 1970s brought a counter-revolution: the 1980s saw a radical change of ideas on the role of the state and markets, the goals of macroeconomic policy and the job of central banks. Again, the aim was a fundamental transformation. So what happened after the global financial crisis? Have politicians and policymakers tried to get us back to the past or go into a different future? The answer is clear: it is the former. To be fair, they have tried to go back to a better past. That is what happened in 1918. Then they had just come out of a devastating war. So the new ideas were about peace — “collective security” and a League of Nations. But they wanted to return to the prewar economy, especially the gold standard. In 1918, then, they mostly wanted to go back to a better version of the past in international relations. After the crisis of 2008, they wanted to go back to a better version of the past in financial regulation. In both cases, all else was to stay the way it was. The chief aim of post-crisis policymaking was rescue: stabilise the financial system and restore demand. This was delivered by putting sovereign balance sheets behind the collapsing financial system, cutting interest rates, allowing fiscal deficits to soar in the short run while limiting discretionary fiscal expansion, and introducing complex new financial regulations. This prevented economic collapse, unlike in the 1930s, and brought a (weak) recovery. The financial crisis was a devastating failure of the free market that followed a period of rising inequality within many countries. Yet, contrary to what happened in the 1970s, policymakers have barely questioned the relative roles of government and markets. Conventional wisdom still considers “structural reform” largely synonymous with lower taxes and de-regulation of labour markets. Concern is expressed over inequality, but little has actually been done. Policymakers have mostly failed to notice the dangerous dependence of demand on ever-rising debt. Monopoly and “zero-sum” activities are pervasive. Few question the value of the vast quantities of financial sector activity we continue to have, or recognise the risks of further big financial crises. It is little wonder populists are so popular, given this inertia, not to mention the miserable experience of so many citizens since the crisis and, in important cases, before that. Politics abhors a vacuum. Ideas as dangerous and divisive as those of US president Donald Trump or Matteo Salvini, Italy’s deputy prime minister, are bound to fill it. One cannot beat something with nothing. The persistent fealty to so much of the pre-crisis conventional wisdom is astonishing. The failure of Keynesianism in the 1970s was significant but certainly no greater than the combination of slow economic growth with macroeconomic instability produced by the pre-crisis orthodoxy. What makes this even more shocking is that there is so little confidence that we could (or would) deal effectively with another big recession, let alone yet another big crisis. What explains the complacency? One reason might be the absence of good ideas. The economist Nicholas Gruen argues just that in a provocative article. Yet there are some perfectly good ones. Some have argued for a shift from debt to equity finance of house purchases. Others have called for the elimination of the tax deductibility of debt interest. Some note the perverse impact of executive incentives. Some argue convincingly for higher equity requirements on banks, rejecting the argument that this would halt growth. Others ask why only banks have accounts at central banks. Why should every citizen not be able to do so? Some wonder why we cannot use central banks to escape dependence on debt-fuelled growth. Beyond finance, it seems ever clearer that protection of intellectual property has gone too far. Also, why not shift taxation on to land? Why are we letting the taxation of capital collapse? And why are we not trying to revitalise antitrust? An all-embracing new ideology may be unavailable today. That is probably a good thing. But good ideas do exist. A more likely cause of inertia is the power of vested interests. Today’s rent-extracting economy, masquerading as a free market, is, after all, hugely rewarding to politically influential insiders. Yet the centre’s complacency invites extremist rage. If those who believe in the market economy and liberal democracy do not come up with superior policies, demagogues will sweep them away. More important countries are compelling the U.S. to move forward. The denuclearization process with North Korea is going nowhere fast. Last week, U.S. Defense Secretary James Mattis said the U.S. has no plans to suspend any more major military exercises with South Korea. Mattis also said that smaller-scale exercises in the South would continue, lending credence to the North’s accusation that a nuclear submarine recently dropped off a fresh contingent of U.S. special operations forces at the Jinhae naval base for training. Halting these kinds of exercises was Washington’s portion of the tacit “freeze for freeze” agreement the United States and North Korea appeared to have reached a few months ago. Also last week, U.S. President Donald Trump abruptly canceled a long-planned visit to Pyongyang by Secretary of State Mike Pompeo, just days after Pompeo finally named a special envoy to spearhead working-level negotiations with the North. Trump’s decision was reportedly motivated by a letter he received the same day from Kim Jong Un’s spy chief, Kim Yong Chol, who warned that negotiations may fall apart if the White House fails to take steps toward negotiating a peace treaty with the North. There’s no reason to believe North Korea is holding up its end of the bargain either. Most available evidence suggests Pyongyang continues to develop its ballistic missiles and its enrichment capabilities. North Korea never pledged to denuclearize on the timeline the White House said it would, of course, and since Singapore, it has stymied the diplomatic process over largely symbolic issues. The two sides are at an impasse over how to move forward. The White House wants full denuclearization. Full denuclearization is a non-starter for Pyongyang. Surrendering its nuclear program would only invite an attack. A partial handover is possible, but the U.S. won’t abide by an agreement that simply allows the North to rebuild what it just gave away. A peace treaty is possible, but the North would demand that the U.S. withdraw its 28,000 troops from the peninsula – a nonstarter without full denuclearization. And even if Washington signed a peace treaty, it would be sacrificing its one source of leverage over the North. The issue is simple, if not easy. Unless the U.S. is willing to address North Korea’s nuclear program by force, the White House doesn’t have much leverage to induce capitulation. Washington can try to influence the size and shape of the North’s nuclear and missile arsenals, as well as its behavior as a nuclear power, and it could tolerate a nuclear North Korea for many of the same reasons it’s learned to live with a nuclear Pakistan: Islamabad doesn’t have the long-range missile technology needed to strike the U.S., and the alternative would be an exceedingly costly war. But it doesn’t exactly have much leverage for these lesser aims, either. International sanctions pressure has been gradually weakening, and South Korea has been busy pursuing its own reconciliation with the North in ways that are likely to further ease international pressure on Pyongyang. The U.S. has already played its military exercises card, and it won’t pull U.S. forces from the peninsula – at least not right now. It has promised economic investment to appeal to Kim’s designs on economic development, but Kim can’t do so without threatening his regime’s continued rule. And with Trump having declared in June that North Korea was no longer a nuclear threat, there’s political pressure on the White House to show results. Time is on the North’s side. The U.S. is now attempting to regain some of the leverage it lost. It’s why the U.S. is threatening to restart military exercises that Pyongyang believes are a rehearsal for invasion. It’s also why the U.S. has tried to reinvigorate the sanctions regime. Yet it’s hard to see military drills or sanctions doing much to break the impasse. They haven’t yet – not even when international pressure peaked in 2017. That means the U.S. likely has bigger issues in mind in crafting its North Korea strategy — namely, China and Russia, the two countries most responsible for keeping the Kim regime afloat. Over the past month, for example, the U.S. (unsuccessfully) sought a U.N. Security Council resolution to halt shipments of refined petroleum products to the North. It also slapped new penalties on Russian banks accused of laundering money on behalf of North Korean front companies (one of them based in China) and on a pair of Russian shipping firms accused of conducting ship-to-ship oil transfers with sanctioned North Korean ships. Last week, Vox reported that the U.S. is considering new secondary sanctions targeting Chinese and Russian banks and firms. The recent sanctions were too small to hurt much, but the sanctions could be read as warning shots of worse things to come. Given the fragility of the Russian and Chinese economies, it’s doubtful that either government missed the message. To be clear, neither Russia nor China are interested in a nuclear North Korea. It’s just that the threat it poses to them is subordinate to the threat the U.S. poses. 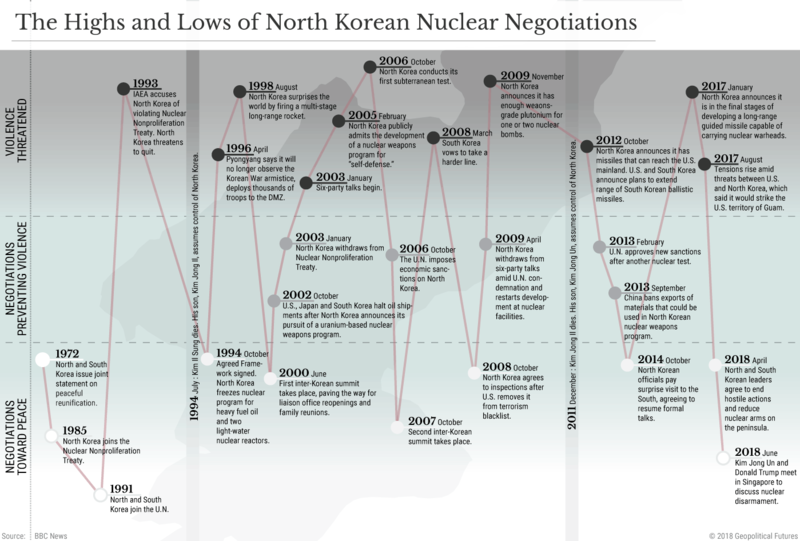 North Korea, then, is just a bargaining chip. Moscow has sustained low-level economic support to Pyongyang as a way to bolster its image as global power-broker and seek concessions from the U.S. on, say, Ukraine and Syria. China supported the U.N. sanctions to forestall a war that might end with U.S. forces back on its border, but it continued to play ball because it thought doing so would keep the U.S. satisfied on trade. In other words, every party to the Korean crisis – except for the two Koreas – is once again playing a bigger game. This is a familiar role for North Korea, which has long served as a pawn between outside powers. That’s why the North went nuclear in the first place. And in three weeks, Kim will celebrate the 70th anniversary of his country’s founding (reportedly with an envoy from Chinese President Xi Jinping) with Pyongyang in the rare of position of being able to bend this game to its advantage. But John Paul had a very poor record on sexual abuse, as has become apparent in recent years. He protected and indeed encouraged the charismatic Mexican priest Marcial Maciel, who was a brilliant fundraiser. In the United States, he promoted another charismatic fundraiser and promoter of vocations, “Uncle Ted” McCarrick, to be a cardinal and archbishop of Washington. We learned from Viganò’s letter that the then-nuncio had warned Rome against promoting him in 2000 but was overruled. It now seems that McCarrick was widely known to be gay and believed to be only intermittently celibate, but his activities were not thought to be criminal. And once he had been promoted, any public punishment would have been an occasion of scandal and a huge blow to the reputation of the pope who had promoted him. GENEVA – The fall of the Berlin Wall almost 30 years ago represented a high-water mark in the retreat of the state from the global economy, signaling a defeat of socialist economics virtually worldwide. From dirigiste France to communist China, countries with widely divergent economic models began to adopt a more laissez-faire policymaking approach, predicated on the idea that the less state intervention, the better. Amid this global rollback of statist and socialist economics, some state-owned enterprises (SOEs) were privatized outright. But the vast majority of “crown jewels” remained partly in the hands of governments, with a strategic private partner or private investors acquiring stakes through capital markets. Whatever its form, privatization did not just express a philosophical direction; it also had wide-ranging economic consequences, not least on stock exchanges, which were revitalized through SOE listings in countries as different as Italy and Egypt. With the turn of the millennium, however, the retreat of the state from the economy stopped in its tracks. The success of economies such as China, which is driving economic development through its SOEs, and the United Arab Emirates, which is driving economic diversification through its sovereign wealth funds (SWFs), has raised potent questions about the efficacy of private-sector-led growth. A number of governments have sought to replicate China’s experiment with its SOEs and Singapore’s experience with its SWF, Temasek. In the Middle East, for example, a quiet state-driven economic revolution has been unfolding in recent years, epitomized by Dubai’s emergence as the world’s largest hub for international air travel, recently surpassing London’s Heathrow. 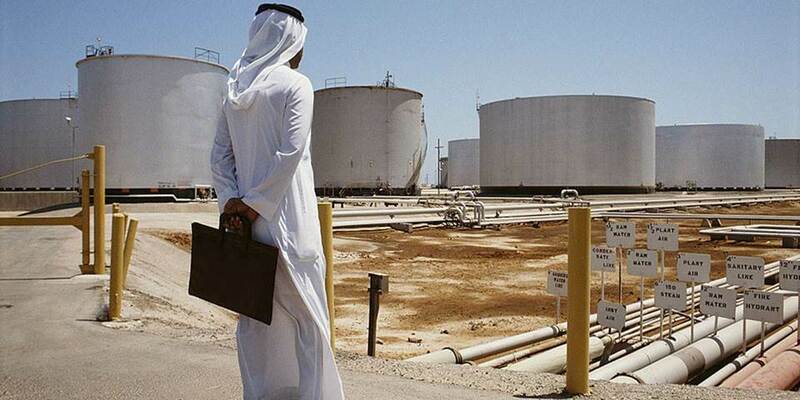 While the potential floating of shares of Saudi Aramco, Saudi Arabia’s state-owned oil company, seems to suggest that privatization has not been completely jettisoned, there is a wider and potentially more important trend. Rather than privatizing, governments around the world are increasingly looking for ways to address their SOEs’ perennial weaknesses, including their lagging corporate governance, low productivity, and subpar innovation. To that end, the structure of sovereign wealth is evolving from a legacy model of passive state ownership to one that recognizes that SOEs’ survival hinges on their ability to compete internationally. An SOE’s monopolistic or oligopolistic position at home no longer ensures its competitiveness, particularly in the context of disruptive new technologies that cross borders. In the long term, government protection will not help a state-owned telecom fend off the likes of Skype, WhatsApp, and Viber. In response to this challenge, governments are focusing less on privatization than on modernization. Many SOEs and SWFs have recently established venture capital arms to target high-tech companies producing innovation that can underpin their core businesses. Saudi Telecom, for example, has launched STC Ventures to invest the company’s cash as well as pursue opportunities in cutting-edge technologies. Similarly, the Investment Corporation of Dubai, one of the Emirati SWFs, has invested $47 million in Indigo, a Boston-based farming technology start-up. Still, SOEs and SWFs have limited experience in the tech sector, and their corporate culture is rather rigid compared to the companies they are targeting. Overseeing the governance of high-tech firms requires a fundamentally different skill set than managing joint ventures with foreign partners, a craft that SOEs and SWFs have recently perfected. Hence, to secure the necessary expertise, the Saudi Public Investment Fund has formed a partnership with Japan’s Softbank, and Abu Dhabi’s Mubadala Investment Company has entered into an agreement with the French state-backed investment vehicles CDC International Capital and Bpifrance. Yet even with the know-how in place, the governance of high-tech companies such as Facebook and Snapchat can pose additional challenges, because both tech company founders and sovereign investors tend to prefer a high level of operational control. Beyond the matter of control, the acquisition of technology companies also requires SOEs and SWFs to take a different approach to risk management, owing to the unstable nature of valuations in this sector. In this regard, emerging-market sovereign investors have much to learn from China, where SOEs have been actively acquiring technology firms worldwide. Following a few problematic episodes in recent years, China’s finance ministry has now issued guidelines to mitigate the risks for SOEs pursuing foreign acquisitions. Even if many emerging-market sovereign funds would prefer to remain quiet, non-voting investors with passive stakes in foreign companies, the tech-sector acquisition spree that is currently underway demands that they gain a better understanding of their rights as shareholders. It also requires that they equip their teams with more investment expertise and coordinate closely with other domestic investors so that their acquisitions can have a multiplier effect on their respective national economies. With private-equity activity having declined in the Middle East and indeed elsewhere in recent years, owing to the fallout from the Abraaj Capital saga, SOEs and SWFs in the region will likely continue to establish their own private equity vehicles. Through sovereign investments in high-tech firms, policymakers can produce positive multiplier effects, including on the capital markets that were previously developed through privatization. For example, SOEs may be able to list private-equity funds that they establish, while grooming domestic high-tech firms in which they invest for potential listings of their own. This would benefit the local equity markets as much as – or perhaps even more than – the listing of the SOEs themselves, given that exchanges now include specific listing segments geared toward luring innovative firms. In any case, to focus solely on the privatization of large SOEs is to give a false impression of the direction of state capitalism in emerging markets. State capitalism 2.0 is not premised on the dilution of government ownership, but rather on its realignment with the future of the world economy. This shift is fundamental to the survival of state ownership, and it requires that sovereign investors rethink their traditional governance paradigm. If SOEs are not to go the way of the dinosaurs, they will need to learn not only to waltz with foreign partners, but also to breakdance, fall, get up, and try out new moves. Alissa Amico is Managing Director of GOVERN, the Economic and Corporate Governance Center.